An improvised bass piano split done on my Kawai MP11se. Adding Kauldron pad, AudioKit Synth1 simpla bass, iSymphonic Brass section, and BeatHawk Trombs. Cubasis. Really good stuff, Lineman. My contemporary jazz knowledge is small, but I love the synth washes in there. 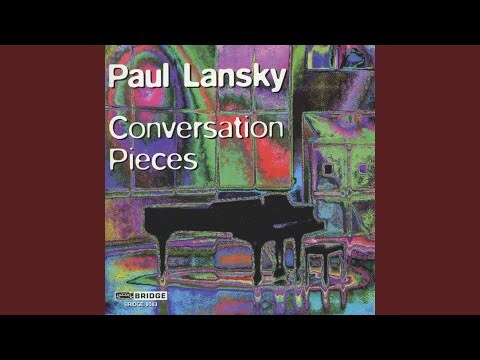 Are you familiar with Paul Lansky's "Conversation Pieces"? Yours is far less showily manipulated, but a similar vibe. And that bass is from Synth One? As a bass player who is very suspicious of keyboard bass that aims to mimic the real thing, I'm impressed. He plays the baseline with the left hand and the piano/solo with his right in one take and no editing for mistakes. Thanks for listening @Deskscape. I appreciate your taking the time. @analog_matt, thank you for the ❤️, bro. It means a lot to me. I just started with Synth1 and it is a thing of beauty. Going to look at D1! @ExAsperis99, @McD is correct, the bass comes from the Kawai. However, I enriched it with AKS1 simpla bass... Gave a little grit to it. I used to use IFretless Bass, which is very good, but the onboard Kawai is the best I have come across. I don't know Lansky. Is he a jazz guy? Related to Meyer, maybe? @McD... No editing for mistakes is right, I just leave them in! Lanksy, I guess, is a jazz guy, but interested in sound design. @ExAsperis99, video unavailable to me. Turkey? I will try YouTube direct. Thanks! Ah, naturally. The Turks have always been hostile to avant-classical piano jazz. Hope you like it/aren't offended! Will report back @ExAsperis99.. You think they would be grateful for Brubeck's Blue Rhondo Ala Turk, but apparently not. That's what started the whole thing! You can't expect to make friends in 9/8. I see what you mean @ExAsperis99. I knew I should have put those Beathawk mallets in! Interesting experimentation. Thanks! 1-2 1-2 1-2 1-2-3.... Sounds pretty Turkish to me. @analog_matt Just purchased D1. I thought I was helping the cause, but looks like you guys are helping us, as usual. Got FM Player, too, but see it doesn’t work with Cubasis. Any details about that? Thanks!! Thanks, @bedheadproducer. Good to see you back, though for me, your latest tutorial Is too abstruse. Maybe you could invent a realistic sax app. Now that would get my attention! I redid this with a sax overlay and posted it, but, though the notes are good, folks just can't bend their ears around the fake news. Too bad, I love being able to imagine myself playing a horn. Once the D1 code is stable and AUv3, we're going to use it as a basis for FM Player 2. Hopefully, both will work well in Cubasis. it is designed well to quickly do counterpoint classical melodies, especially if you use classical sounds, like isymponic instead of the synth sounds. I'm going to do a quick tutorial of that next and then you may see some more possibilities up your ally. But I wasn't trying to talk about me in your thread. I merely wanted to praise you awesome tune!!! @bedheadproducer It is great to see the Head from Bed Producing words here again. I was afraid we lost you to the world of "Paying the Bills".